Sometimes an email just won’t do. The simple act of putting pen to paper to immortalize one’s love is a beautiful, time-honored way to express one’s love, today or on any day. But, unlike love, paper doesn’t last forever. Thanks to digital imaging technology, some of the most famous letters throughout history will endure as long as the love that inspired them. Perhaps the most famous of all literary love stories is the one shared by Elizabeth Barrett and Robert Browning. Today, all 585 of their original letters are available online as high-resolution images through Baylor University’s Digital Collections. Today, everyone can view high-resolution images of the handwritten notes and corresponding envelopes. In addition to zoom and rotate functions, a search feature allows users to locate keywords in each of the letters. Looking for more romantic inspiration? Check out our collection of some of the greatest love letters ever written. We were surprised by several – are you? Let us know which ones you found the most fascinating, inspiring or just plain awesome! Please to have some some remembrance of me, B.N.R.I. de R.O.M.V.E.Z. We will be together forever once and for all. From Frida Kahlo to her husband, Diego Rivera upon one of their many separations. From Johnny Cash to June Carter after their marriage. From Ludwig Van Beethoven to his "Immortal Beloved," 1812. My Love Will Keep You Warm. Ok, so it's not a vintage love letter - but it is a lovely, heartfelt Valentine's sentiment. And we loved it- especially in light of all the snow this Valentine's Day! This year, I think we all are. From all of us stuck in due to Winter Storm Pax, if just being with your Valentine makes your day a vacation in paradise, congrats! Stay Warm, everyone! 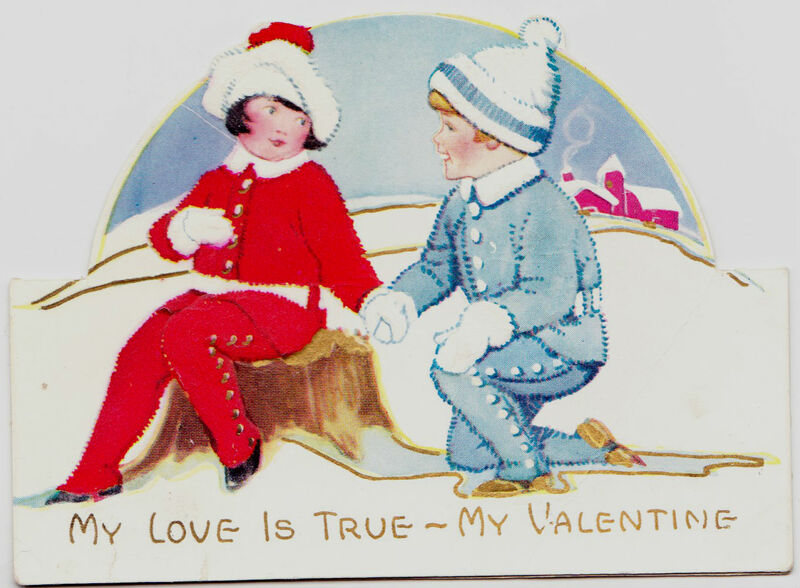 This entry was posted in Articles, Digital History and tagged Digital Documents, Digital History, Digitization project, High Resolution Scanning, Valentine's Day. Bookmark the permalink. ← How Long Should You Store Tax Records?